As Dexter and I were down in the shop building the other night, he shared with me some of his thoughts about building tables. We got into a discussion about Family Dinners or the lack of families sitting down together eating dinner. Has life gotten so busy and complicated that we can’t seem to find time to sit, be still, and fellowship with one another around the table? 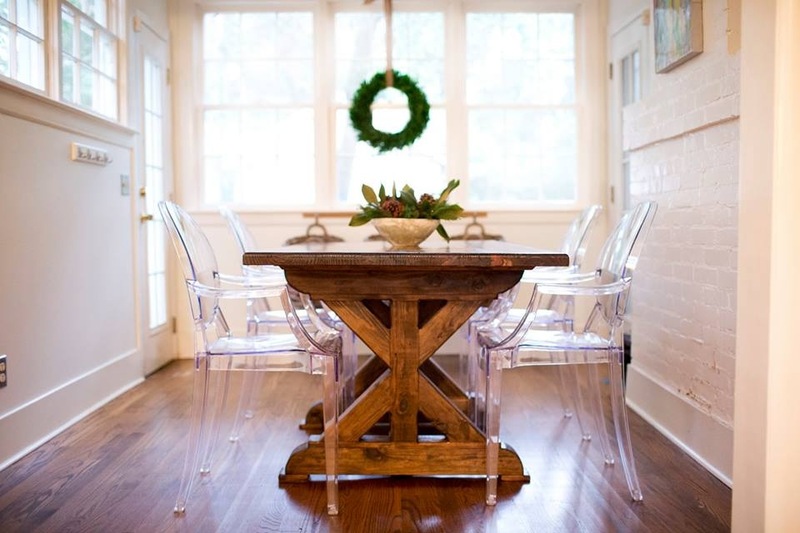 The dinner table is the one place where our family has our most treasured conversations. We get to find out about each others’ day, share what we feel the Lord is teaching us, talk about what’s coming up on our calendar, and quite frankly, just look at one another and give each other our full attention. Now this is not always a “Hallmark” experience. There are those times when some don’t want to talk, or want to talk about things that shouldn’t be discussed at the table. And yes, with 5 kids, we ALWAYS end up with some kind of “potty talk”, as we call it. It used to bother me when our conversations would digress, but now, I just have to laugh because they just can’t help it:) Somehow, some way they end up there! 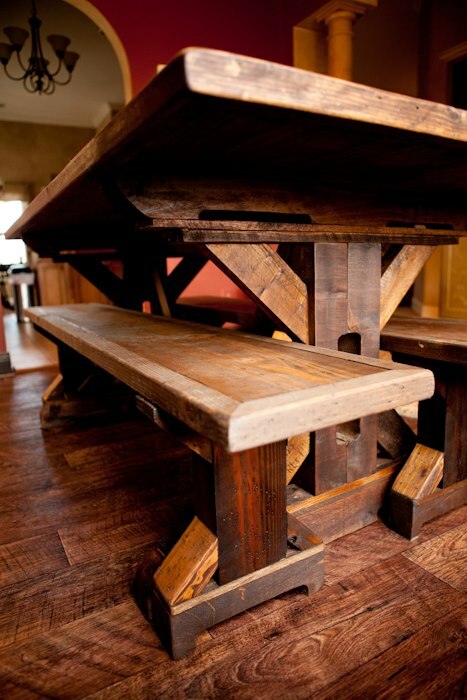 So can you see why Dexter is motivated to want to handcraft tables for families. It’s the memories! As he is building them, he truly is thinking about all the food that will be eaten, the conversations that will be had, the games that will be played, and the projects that will be completed on them. He thinks about how many generations will enjoy the table. Most importantly, how many lives will be blessed around the table. The 14ft. 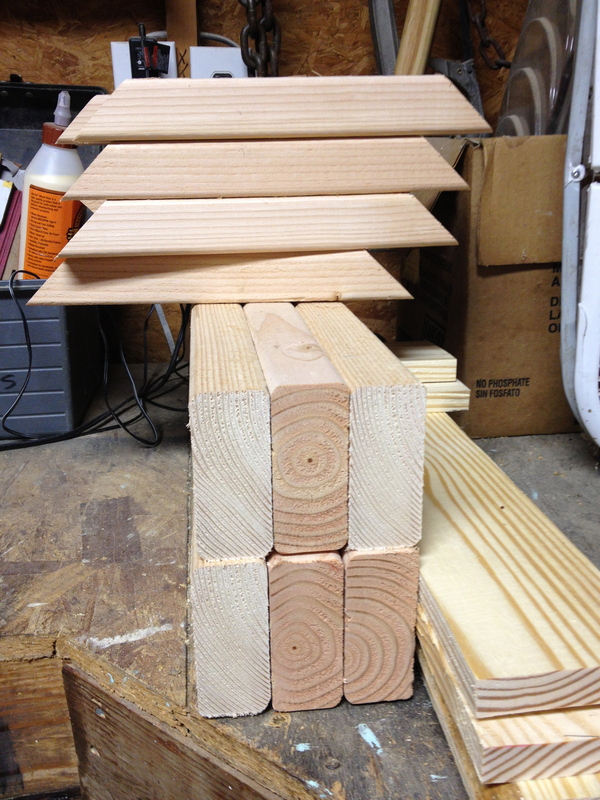 table we are building now makes us think about all the children, both biological and adopted, that will gather around it, and the Mom and Dad who are faithfully following the Lord as they raise them. If you are yearning for this experience in your home, let’s look at some ways you can get started! I’ll correlate it with what we did when we received an order for a 14ft table that we didn’t know how we were going to build! First you make a plan. Look at your calendar for the week and plan your meals according to your schedule and how much prep time you have. If you are not a planner, I promise, if you will just try this, you will save time and money and family dinners will be a legacy in your home! Then you make your shopping list, or for building the table, Dexter makes a cut list. When you come home from the store, put together what you can for the meals ahead. For instance, put marinade and chicken in a bag before you put it in the freezer, so all you have to do is thaw it! You can also wash and cut up vegetables before you put them in the refrigerator to cut down on prep time when you need them. 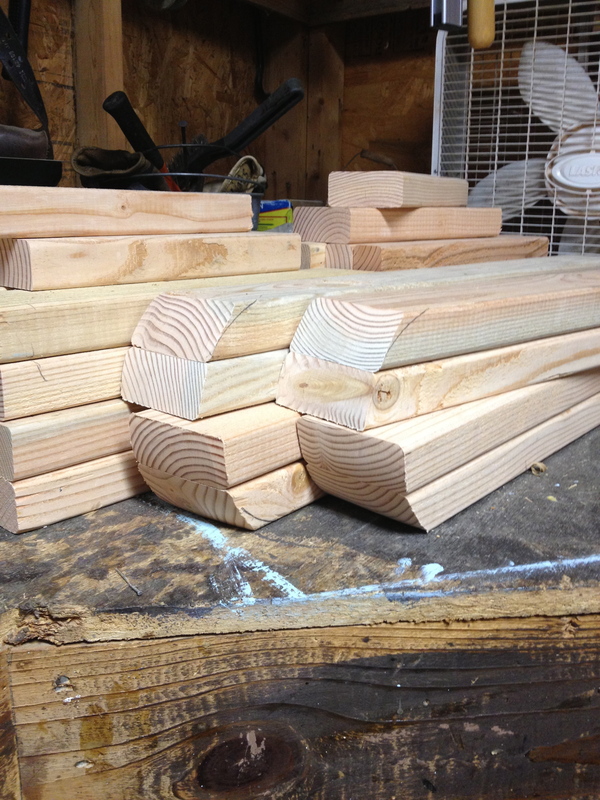 When we have more than one table order, Dexter likes to cut and assemble all the legs at one time…. Now that your meals are planned, the shopping is done, and everything is put away, you can begin to enjoy it one meal at a time. 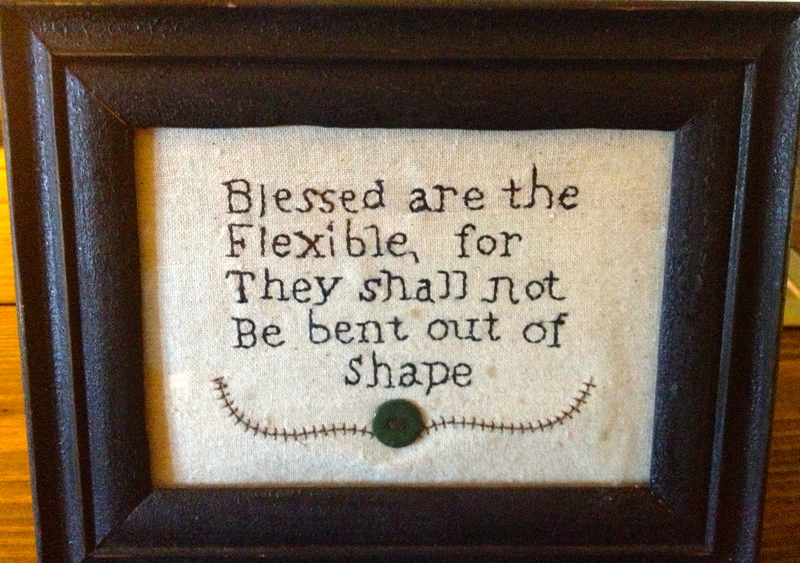 The key words are BE FLEXIBLE because…. This sits in my kitchen as a constant reminder that LIFE HAPPENS! It’s much easier to be flexible and move with the changes than swim upstream and fight the current! Remember, the whole point is to have a time during the day when your family can get together! More to come in a few days. 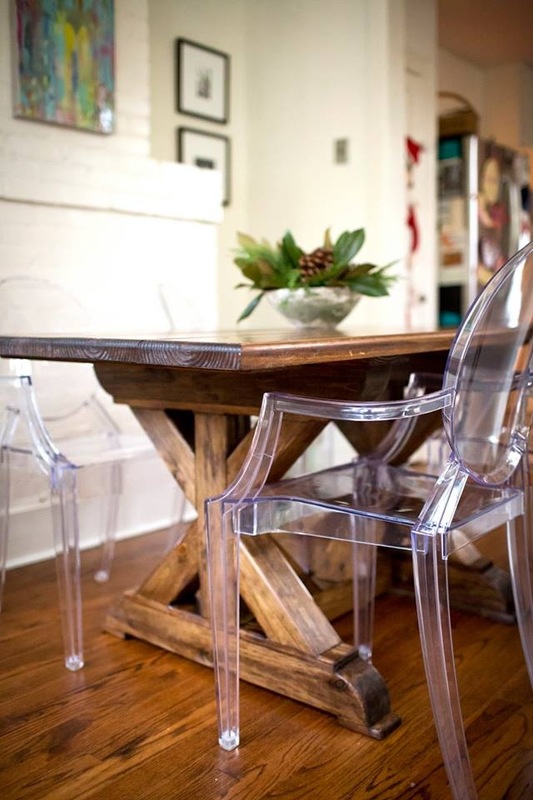 I will share how you can add some special touches to the table and your dining environment! 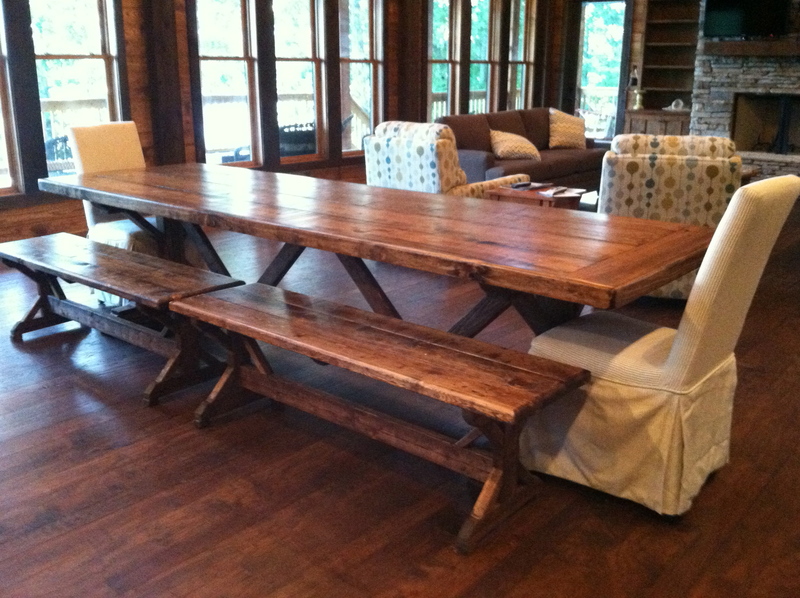 Also, the big reveal of the 14ft Farm Table!